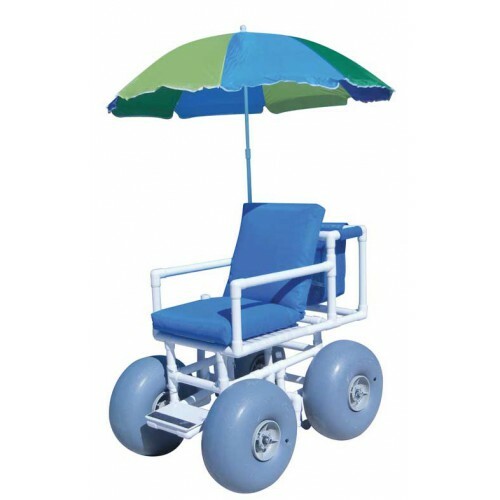 The Beach Access chair is a sturdy, lightweight, all-terrain wheelchair allowing for easy access in sand, snow, and other soft soils. Balloon flotation tires give these chairs extra stability making them resistant to tipping. 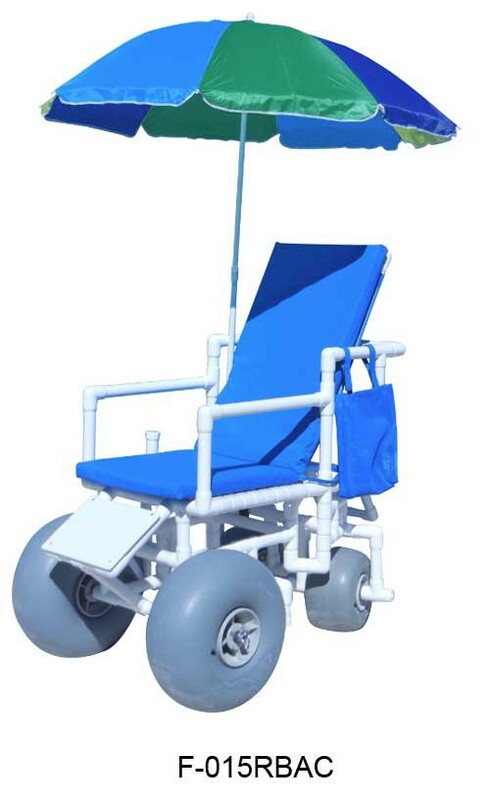 Each chair is made from durable PVC with non-corrosive, puncture resistant wheels. The high quality UV protected PVC frame is made to withstand the salt water. It won't chip, peel, rust fade or discolor. 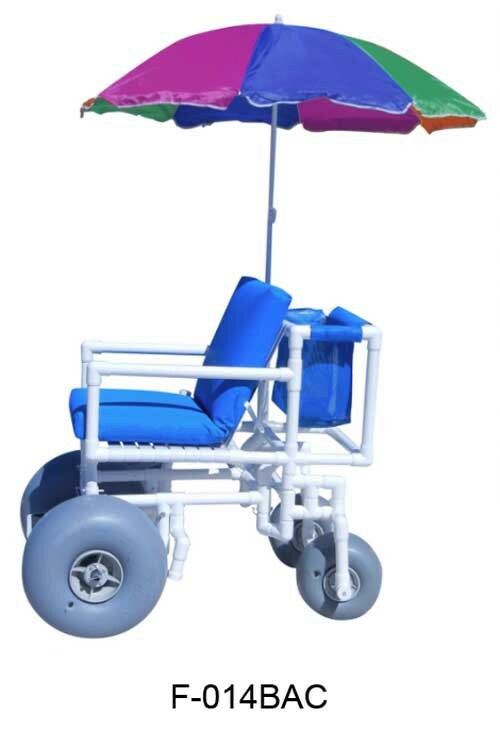 With five reclining positions and a padded footrest the Reclining Beach Access Chair provides extra comfort for the user. Each chair disassembles into 3 pieces (base, seat, wheels) for easy transport, with the use of quick release pins. 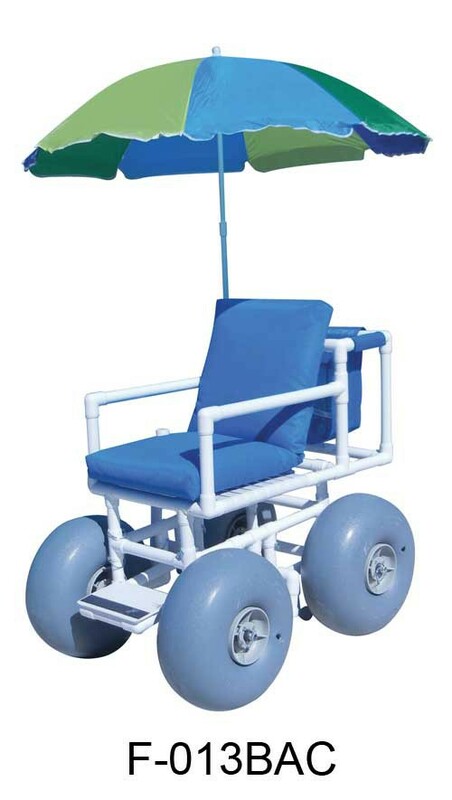 Beach Access Wheelchair Sales Flyer provides the features and benefits of this wheelchair designed for the beach. 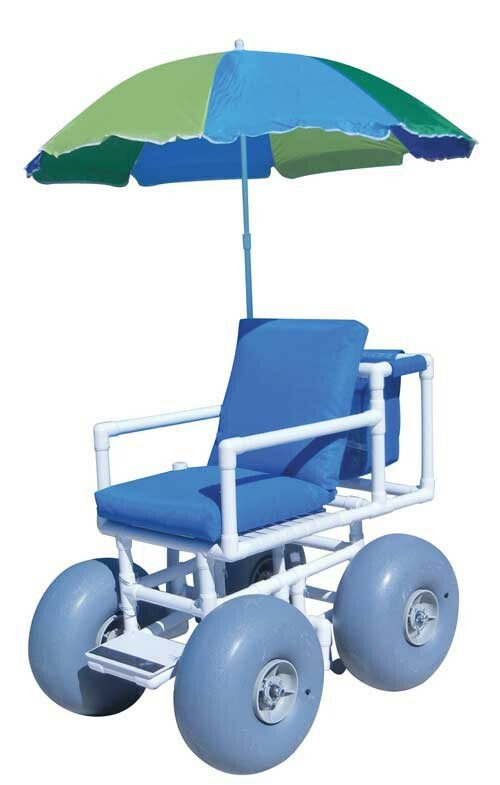 Beach Access Chair User Manual offers instructions for assembly, maintenance, and warranty.